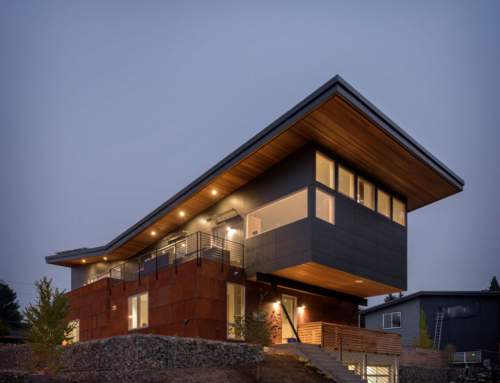 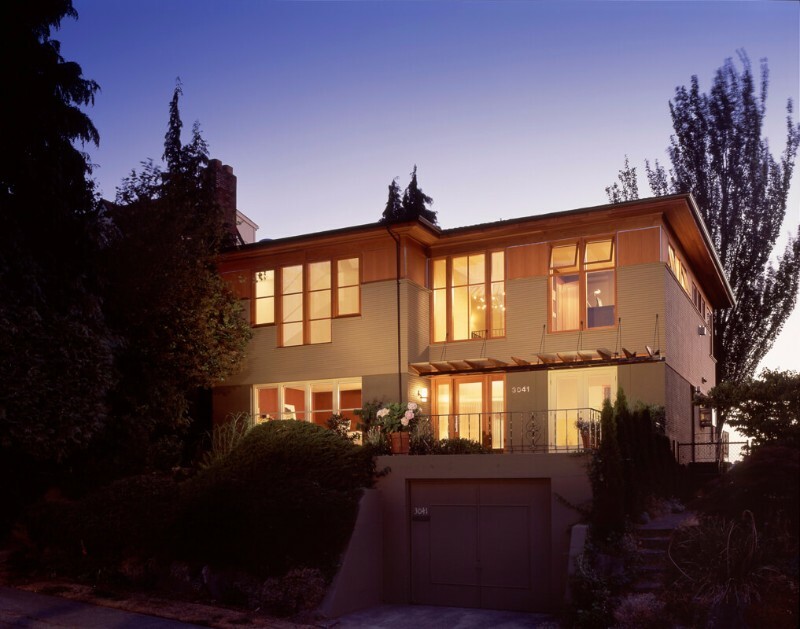 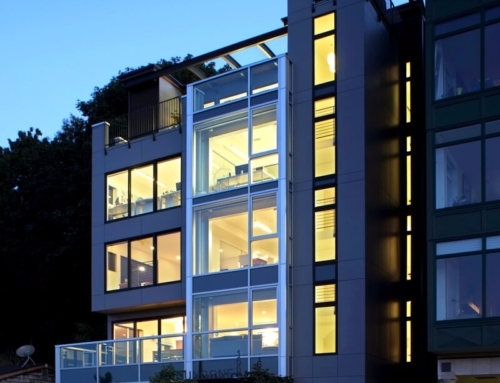 The renovation of and second story addition to an existing “1950’s modern” house on the north side of Queen Anne Hill became an exploration of scale and proportion. 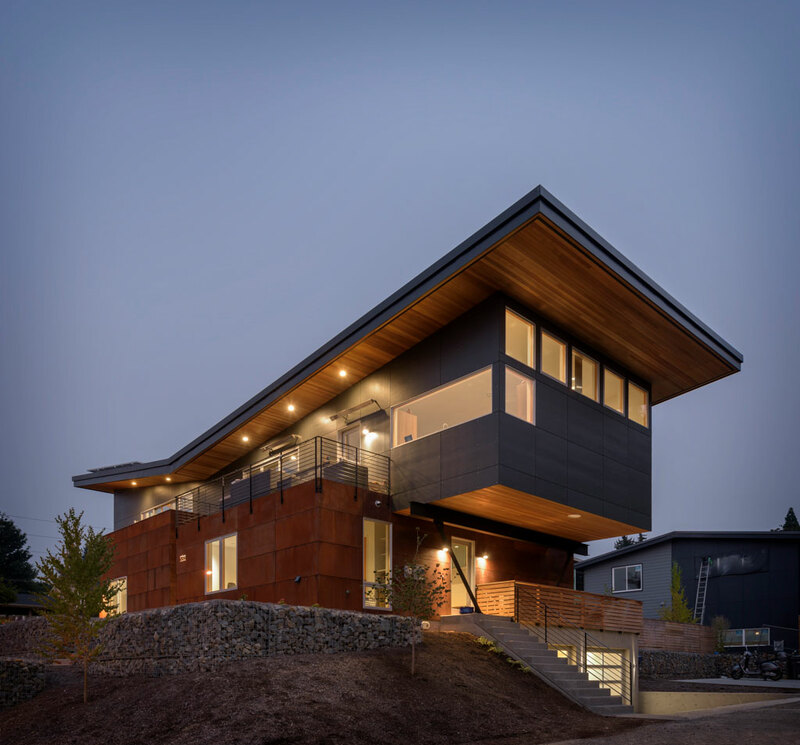 Designed for a professional couple in 2001 and completed in 2002, this house represents new thoughts about urban architecture. 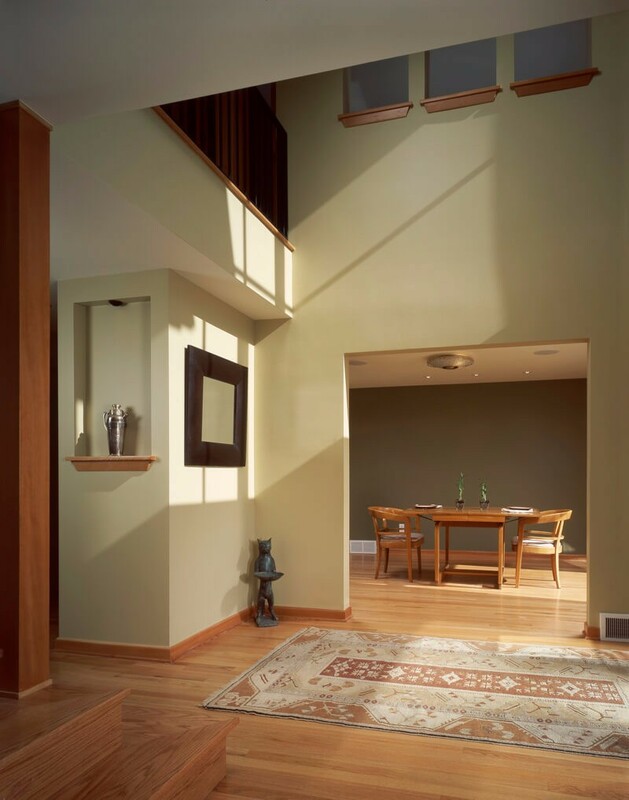 An extensive renovation brought bold colors, materials, and textures to the 1953 house and added a second story dedicated to bedrooms, bathrooms, and dressing. 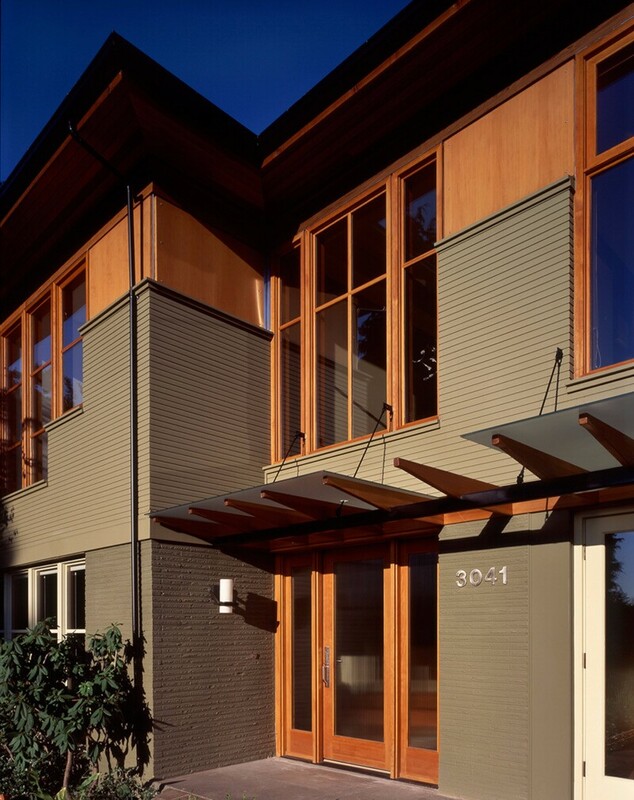 The exterior Roman brick and modern windows were kept and complemented with new siding and trim. 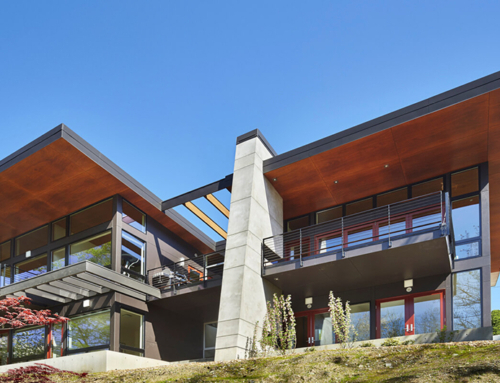 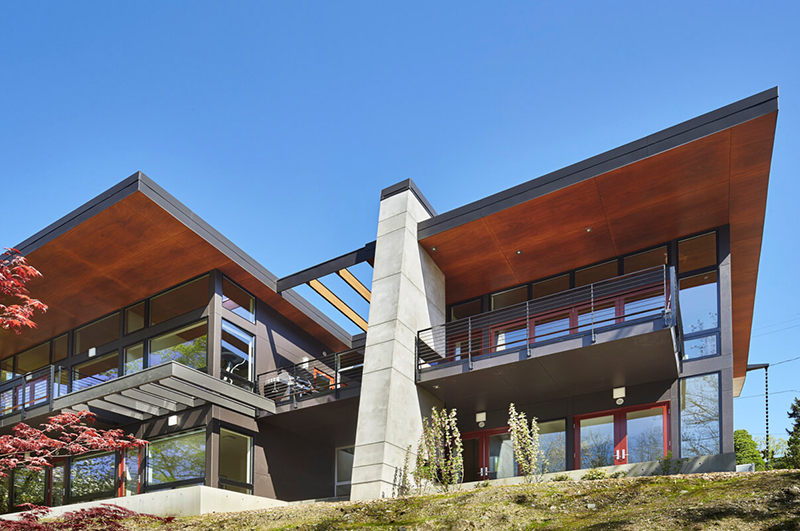 To create the exterior, a custom drop siding was milled from clear cedar to match the texture of the existing brick base and Douglas fir panels were used to form a top frieze, breaking down the scale of the residence. 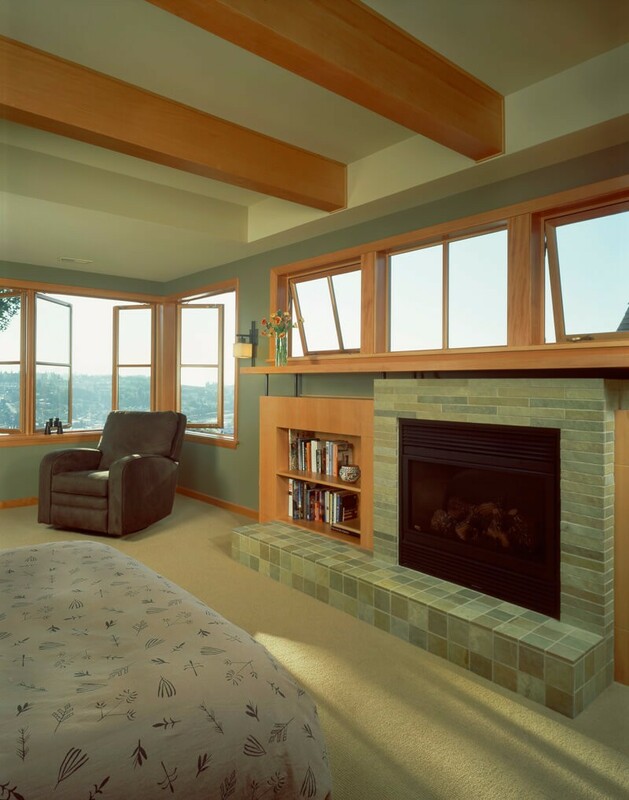 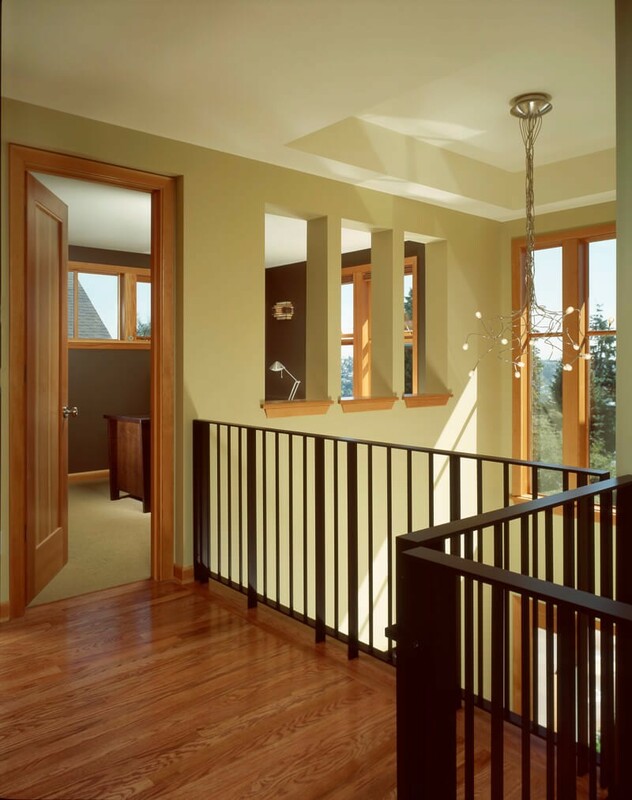 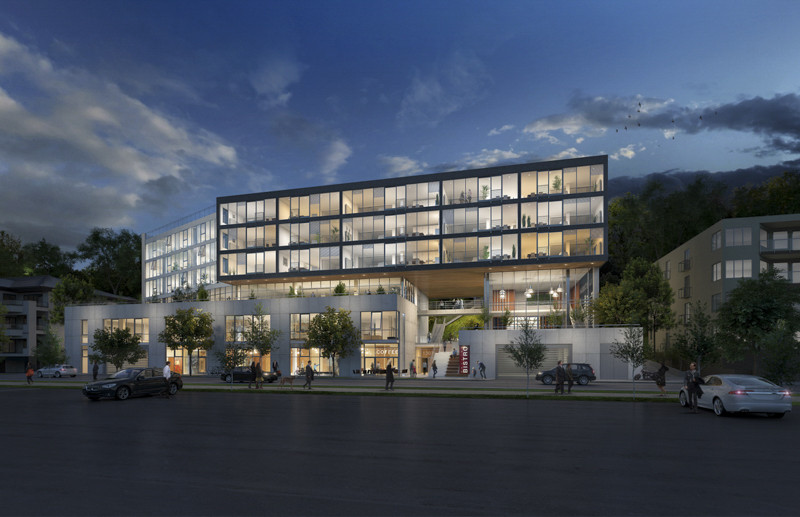 Exterior and interior materials include red oak floors, Douglas fir trim and doors, Indian slate tile, and glass. 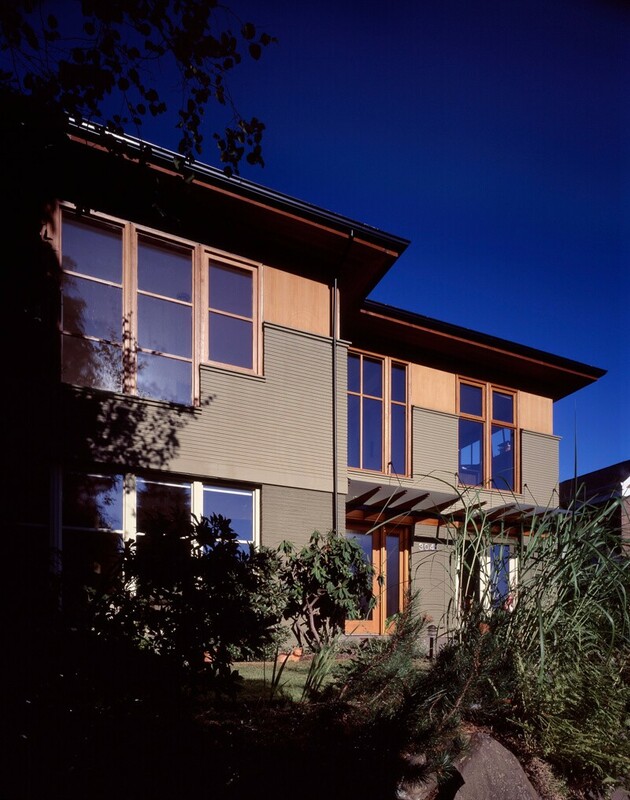 The Queen Ann Residence was built by Dyna Construction and published in Sunset Magazine ("Seamless Addition", Queen Ann Residence Renovation September, 2004). 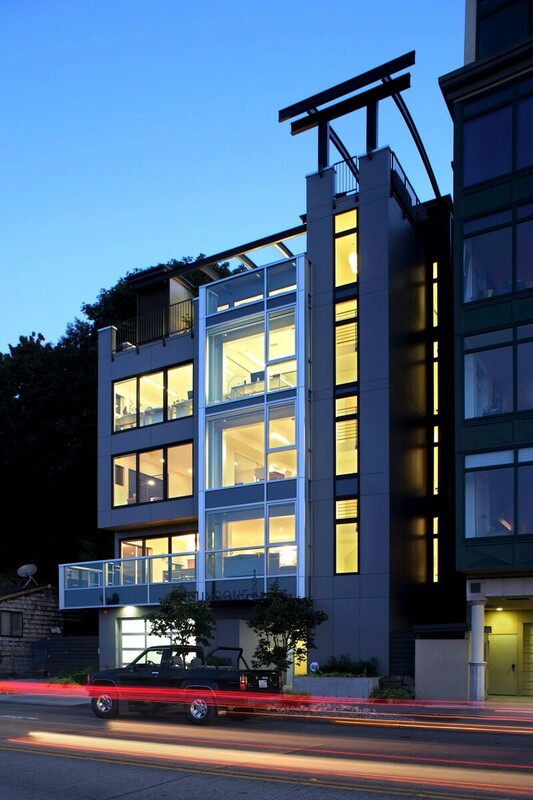 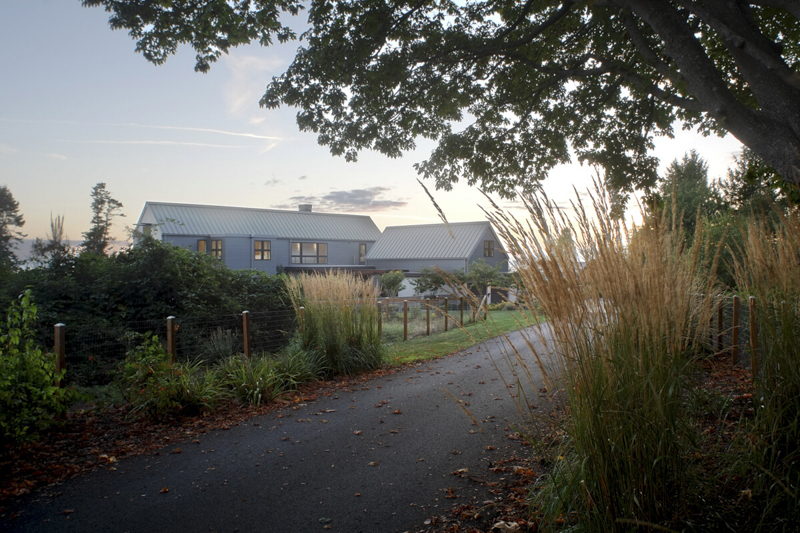 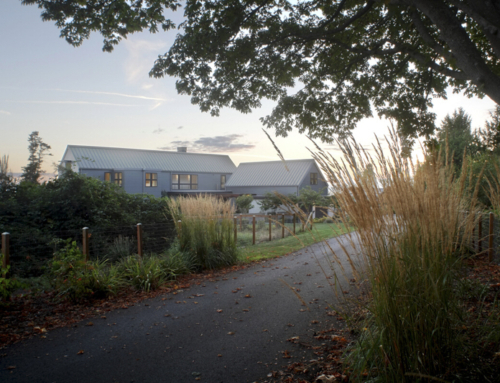 The Master Builder's Association awarded this project the Best Renovation of 2003.